Consumers are turning more towards electronic sources for buying and reading books. 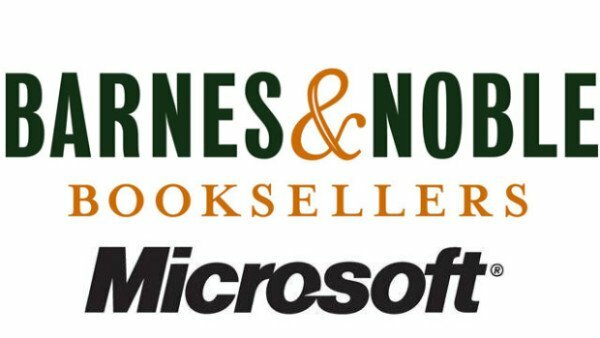 Keeping this in mind, the largest book retailer in the United States, Barnes & Noble has decided to team up with Microsoft. The joint venture will help Barnes and Noble to better compete against the top-selling Kindle re-reader and much popular iPad tablet computer. In return, Microsoft will be trying to gain presence and establish itself in the digital reader business. The product of the joint venture would come in the form of a new Barnes & Noble subsidiary, Newco. Out of the total share Barnes and Noble will retain/own approximately 82.4% of the subsidiary whereas Microsoft will make a $300-million investment, initially in exchange for a 17.6% stake in Newco. The collaboration would enable the New York Company to significantly expand its digital business and reach hundreds of millions of users through the Windows platform. Microsoft will feature a NOOK application for Windows 8, the widely anticipated OS from the software giant. The inclusion of the application in Windows 8 will help Barnes and Noble extend the reach of their digital bookstore by providing one of the world’s largest digital catalogues of e-Books, magazines and newspapers to millions of Windows customers in the U.S. and abroad. Also, Barnes & Noble will include study software that will provide students and educators the leading technology platform for distributing and managing digital education materials in the market. For more information visit Microsoft News Center. Are they or is this just another dotcom bubble in the making?